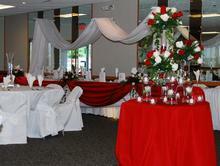 Our first floor function hall, named in honor of the founder and first Commodore, Joseph P.A. Collette, was recently completely renovated and remodeled. 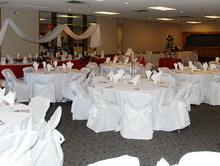 With the new decor, dance floor, carpeting and woodwork its one of the most attractive function halls in the area. 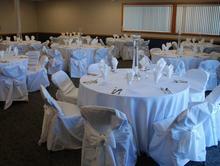 This function room entertains up to one hundred and fifty guests, its equipped with a dance floor, bar, and complete kitchen facilities, and has direct access to a beautiful new large patio overlooking the Saugus River. 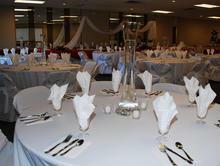 The Hall is handicap accessible through the main entrance and includes handicap bathroom facilities.